"This one will click with families"
For those who can remember the conclusion for the initial adventure, Emmet (Chris Pratt) and his friends were left with little time to celebrate their survival of Lord Business’ (Will Farrell) reign and the Duplo Aliens invade Bricksburg. With his new found fame and abilities, the former construction worker attempts to bring peace between the new intruders and his entourage by bringing forward a heartfelt gift. 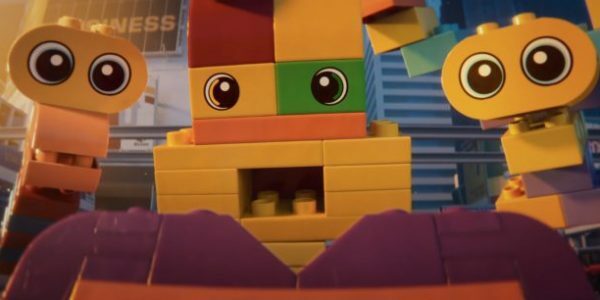 Even though the brick monsters initially accept the token, they quickly decide to eat it and seek to get more, which Lucy (Elizabeth Banks) sees as an attack. Her assault on this new threat leads to the once prosperous and energetic city to being levelled and for this world to become a Mad Max inspired dystopian wasteland called Apocalypseburg. Fast forwarding five years into the future, Emmet hopes to return their once idyllic society back to its former ‘awesome’ glory, but Lucy focusses on maintaining the dark stronghold they have against their enemies. Their once cheery land and citizens have become hardened and developed a more ‘mature’ attitude toward life. When the Duplo Police Officer Sweet Mayhem (Stephanie Beatriz) arrives in their land and proclaims that Queen Watevra Wa'Nabi (Tiffany Haddish) of the Systar System wants to marry the current leader of this wasteland, the people fight back. Then after a quick defeat, Batman (Will Arnett) and others are taken to the distant planet for the caped crusader to be wed to the alien leader with Lucy being the only one who resists this wedding. While Emmet is left behind in Apocalypseburg, he must do all he can to get to his friends before the ceremony. His primary motivation is to stop the impending “Armamageddon.” While on the journey to the distant planet, his ship runs into danger and must be saved by the rugged adventurer Rex Dangervest. The two bond quickly and they devise a plan to thwart the plans of Queen Watevra Wa’Nabi and to save Emmett’s friends. 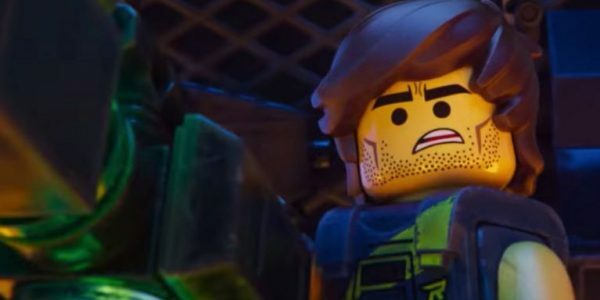 As they get closer to putting their strategy into motion, things take a turn that could unleash Armamageddon and bring about the demise of their Lego universe. All of the beloved characters come back for this follow-up to the original and the formula is soundly in place to deliver a fresh perspective on this next chapter. Even though the focus still remains on Emmett, Lucy and Rex, the supporting cast provides the needed freshness to keep this franchise alive. The writing may not be as innovative as the first Lego journey, but there are enough twists and musical numbers to make this a solid sequel. Children will enjoy the slapstick styling of the comedy, while parents will appreciate the jokes that are clearly written for their benefit. Kids may wonder who Bruce Willis is and why there are so many cameos from this bald figure, but his inclusion will bring a smile to the harshest critics. This chapter may not capture the magic of the first outing, but it is still better than stepping on a Lego brick in the dark. The life lessons of self-awareness do seem quite mature for the target audience, but the overarching story will keep the young ones attention. The Second Part may not be as snappy, but it is a fun option for families this season.